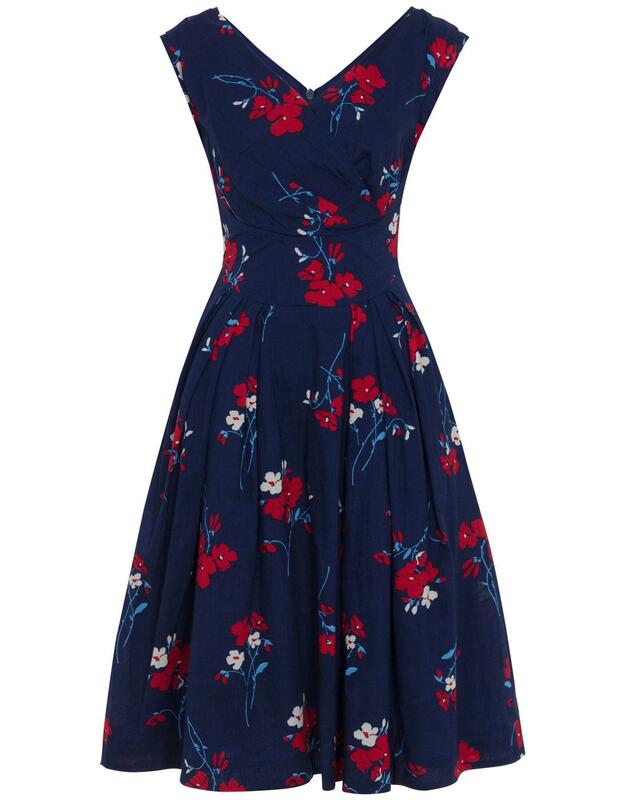 Emily and Fin 'Florence' Retro 1950s floral print spring dress. This dress oozes vintage Hollywood glamour. The floral print keeps it stylish for the spring season while the deep front neckline makes it perfect for a classy and glamour filled occasion. 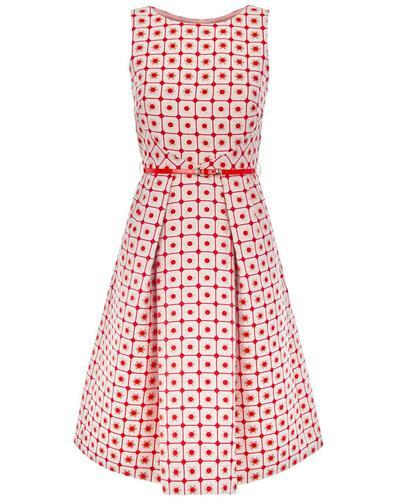 The Emily and Fin 'Florence' retro Spring Floral print dress falls just below the knee for a feminine and elegant look. Pair with heels for a look straight off the silver screen. 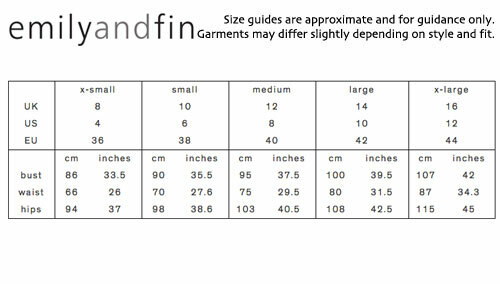 - Emily and Fin Florence vintage style floral print dress. 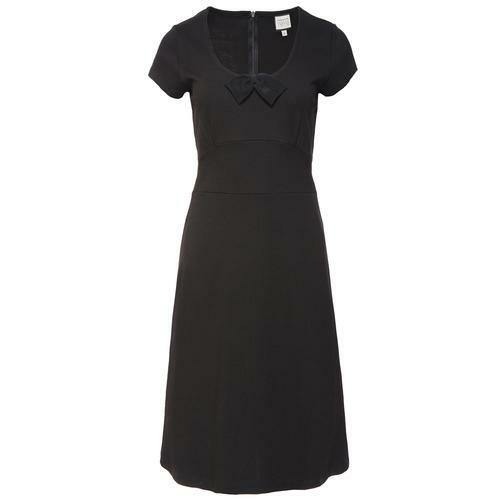 - Deep neckline and a wide and curved waistband for a feminine figure. - Off the shoulder sleeves for a classic vintage look. - Standout floral print perfect for the spring and summer months.